$ 450 - Unico office chair. Shown with Vitra desk. 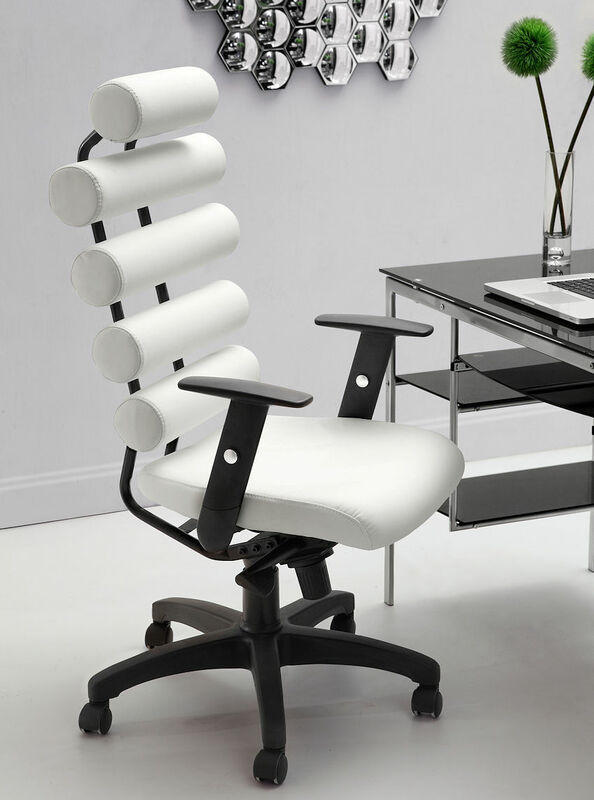 Available in White, Dark Brown or Black leatherette. 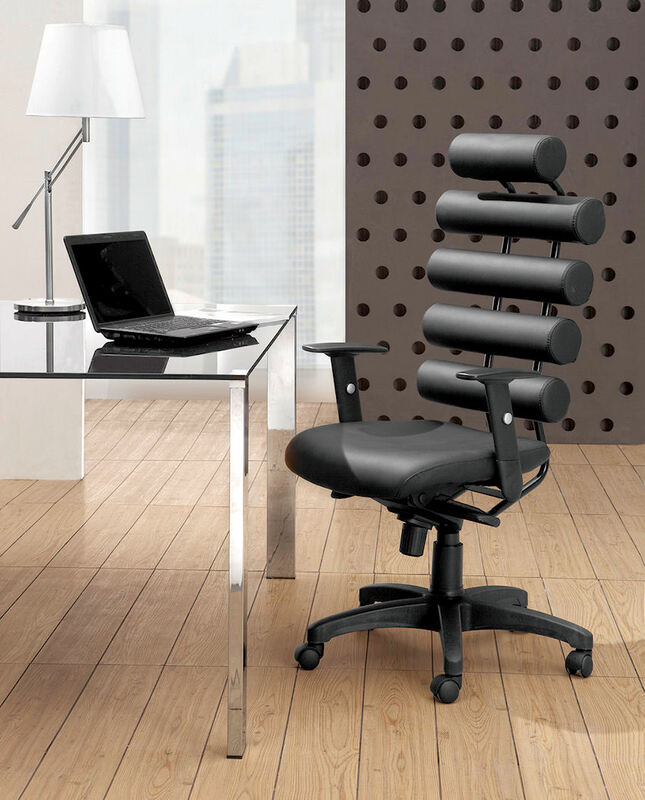 $ 450 - Unico office chair in Black leatherette. 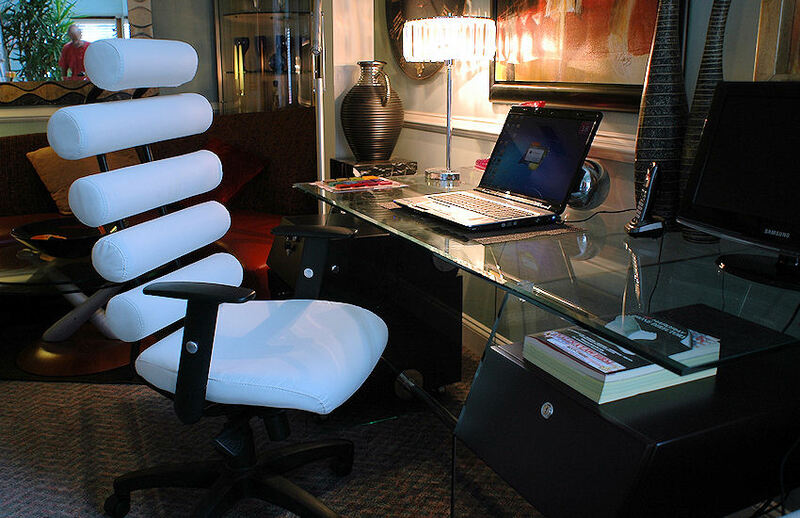 Dimensions: 25"W x 21"D x 46"-49"H / SH 18 1/2"-21"
$ 450 - Unico office chair in White leatherette.